On a rainy evening like this night, my thoughts rewind back to our Calauit trip. When the clouds hung precariously above the somber landscape, obscuring any promise of sunshine. When the excitement to shoot is tempered by apprehensions over whether this assignment will yield anything worth publishing. When the temptation to yield to the sandman tips the scale over attempting to overcome the lazy, sleepy mood of the day.A look back at our coron-calauit on assignment trip for DPP. 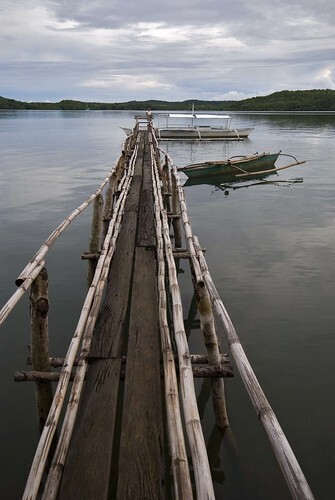 it's amazing how even this crossing from the main island to calauit is a picture of tranquility and beauty. palawan is really a bit of paradise on earth :-) thanks sidney for that comment. hi oggie. i haven't visited for a while coz i thought ur in hiatus :) i missed a lot here so i'm staying to catch up on the spectacular pics. galing! thanks lori! hope to post more holiday-themed posts in the coming weeks. maligayang pasko po!